Dr. Philip Miller is very proud to offer the newly FDA approved Kybella, a non-surgical injectable treatment to eliminate double chin fat. The procedure is available in his office in New York City. Kybella, also known as deoxycholic acid, is available in a non-invasive injectable procedure for adults who have moderate-to-severe fat deposits below the chin area. This type of fat is known as submental fat. 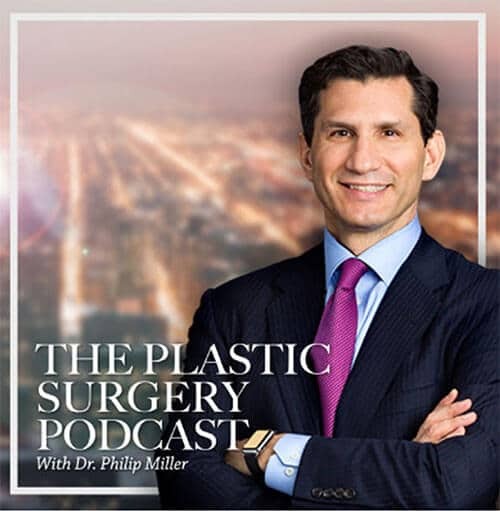 Dr. Miller is now able to treat his New York City patients with Kybella and eliminate double chins without surgery. Kybella is a version of deoxycholic acid, promises to melt away chin fat. It uses a naturally-occurring molecule in the human body to aid in the breakdown of normal dietary fats. Until now, the only way to eliminate double chin fat, also known as submental fullness was with the surgical procedure liposuction. However, liposuction is considered an invasive surgical procedure and usually requires that the patient remains in the hospital to heal. Kybella, offered in injectable form, offers a safe, non-invasive alternative. 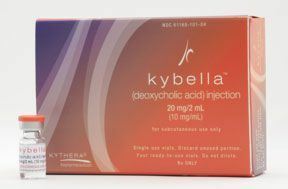 Manufactured by Kythera Biopharmaceuticals, Kybella is injected into the patient’s chin with a very precise needle. The injected Kybella immediately begins to destroy the membranes of fat cells. Any remaining part of the fat cell is reabsorbed into the patient’s body. Similar to Botox, Kybella treatments involve 10-20 injections at each visit. The total visit only lasts approximately 15 minutes in Dr. Miller’s office. The secret behind Kybella is its ability to burst the fat cells and destroy them without affecting the surrounding cells. Fat is not melted but the membranes of the fat cells are broken allowing the contents to reabsorb into the patient’s body. The injection of Kybella actually disrupts the fat cell membranes. Double chin fat is one of the most difficult types of fat to lose. Because the fat deposits lie comfortably in sags of loose skin, even if the fat is lost, the skin stays behind. 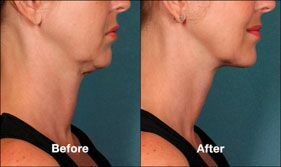 For centuries, men and women have struggled with ways to lessen the inevitable sag of chin fat due to time, gravity and being overweight. The most common way to remove double chin fat before Kybella had been with liposuction – a surgical procedure. The patient would be admitted, have the surgery and remain in the hospital for several days for observation. The result would be scars, bruising and extreme tenderness. However, now with Kybella, all of that can be avoided. Kybella is performed in an outpatient procedure in the physician’s office. The patient receives minimal prep work before the procedure. The physician administers approximately 10-20 injections of Kybella directly into the double chin fat area. Kybella immediately begins to work, breaking down the fat cell walls to allow the fat to redistribute into the patient’s body for easy absorption. The patient goes home the same day with minimal tenderness and mild to no scarring of any kind. Having double chin fat removed with the Kybella treatment is a low-risk effective procedure that will easily and quickly replace liposuction as the procedure of choice for double chin fat removal. People looking to get rid of double chin fat won’t have to resort to dramatic procedures like liposuction to regain the beauty of their younger years. For some patients, removing double chin fat is not just a matter of vanity; it can actually present a health risk if the skin and tissue are left lying on the neck area or rub/chaff the area on a regular basis. Many patients experience soreness and even develop rashes and open lesions from large amounts of fat in the chin area. With Kybella as an option, patients are able to visit the physician as an outpatient and receive 10-20 injections that will immediately begin to break down the fatty cells and eliminate the double chin fat altogether. Because fat cells are destroyed, the result will be loose, sagging skin. The ideal candidate for the Kybella injection procedure would have very supple, elastic skin that could recover from such a procedure. Patients who have a lot of extra skin would not really be best suited by this procedure. There are other options for patients who might need a more extensive treatment plan. Kybella patients will lose the fat cells that are filling up the excess skin under the chin. Once the fat is dissolved, the ideal skin would be extremely elastic and resilient, allowing it to shrink appropriately after the procedure. Visit Our GallerySchedule a consultation with Dr. Miller to find out if you are a candidate for this new FDA-approved double chin fat removal treatment in New York. Q. How long will the procedure last? A. Normally, the procedure only lasts about 15 minutes. The physician will administer 10-20 injections into the chin area in strategic places to ensure even distribution of Kybella. The fat cells will immediately begin to break down for re-absorption into the body. Q. What can I expect after the procedure? A. Patients can expect minimal bruising, minor pain and some numbness in the actual areas that are injected. Some patients report minor swelling as well. If these symptoms become troublesome, discuss them with your doctor for possible short-term remedies. A. As with all surgical procedures, rarely more serious side effects do occur. One particular risk is an injury to the marginal mandibular nerve located in the lower neck area. If the nerve is injured, the patient could experience permanent loss of control of facial expressions on that side of the face resulting in an uneven smile. This is why choosing a trained, skilled physician is critical. The FDA has clearly mandated that only trained licensed healthcare professionals knowledgeable in the procedure are allowed to administer the Kybella injections. A. One of the great aspects of Kybella is the minimal recovery time. Patients are usually able to resume all normal daily activity immediately following the treatment. There is an inflammatory reaction immediately following the injections. Healing usually takes two to three days under normal circumstances. As always, if your primary concern is weight loss, the ideal method for achieving this goal would be by eating a balanced diet and getting plenty of exercise. 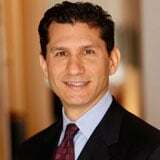 However, for many, a targeted removal of fat cells is necessary. Don’t wait any longer. 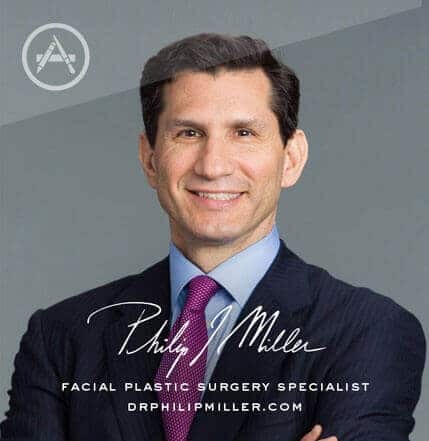 Contact Dr. Philip Miller to schedule a consultation in his New York City office today.